A sample volume of between 50 and 500 μl is required, containing not less than 5 μg and not more than 70 μg elastin. 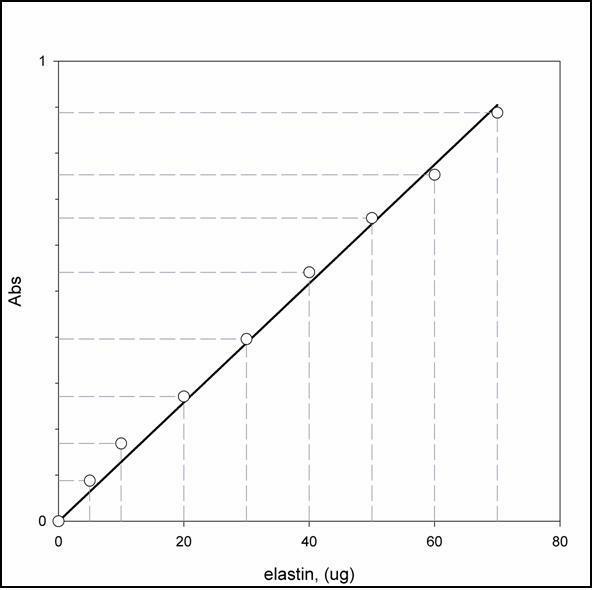 The Fastin™ Elastin Assay is a quantitative dye-binding method for the analysis of elastins released into tissue culture medium and extracted from biological materials. The Fastin Elastin Assay is a quantitative dye-binding method for the analysis of elastins extracted from mammalian sources. The dye label employed is 5,10,15,20-tetraphenyl-21H,23H-porphine tetra-sulfonate (TPPS).